An injury-hampered season saw Sheridan face multiple stints on the sidelines in 2017. The versatile midfielder has proven his fitness this pre-season, winning both time trials, with his second victory coming against stiff competition from Bradley Hill. Tommy has been a standout in the tness testing with the 2km time trials. He has taken a step up with his professionalism and his approach to his football. He has been another player who has barely missed a session on the track, and has given himself every chance to have an improved 2018. A hamstring injury sustained against North Melbourne saw Sheridan play limited time for Freo in 2017, featuring in nine AFL games. 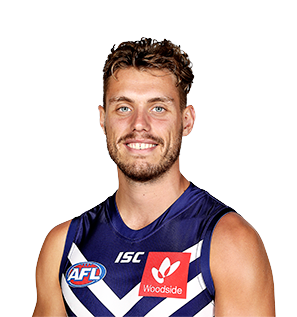 The utility returned from injury to kick two goals against Essendon in round 23 and later re-signed with Freo for the 2018 season. Continued to impress in 2016, playing all but one game and posting improved numbers across the board. Sheridan improved even more in 2015 and broke through to play 19 games this season. He continues to grow and has established his position within the side with a solid 2015 campaign. Sheridan showed improvement in 2014 but could only manage eight games. He’s had three years in the system now and will work hard to see more first-team action in 2015. 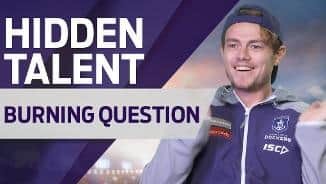 The young midfielder enjoyed a strong second season of AFL, playing 10 games and being named as an emergency in the Grand Final. Fans can expect further improvement in 2014. Tom Sheridan had to wait until the very last round of the season to get his first taste of AFL action and he made a good fist of it, bringing a lot of energy and enthusiasm to the field when he came on as the sub in the third quarter. Freo’s top pick from the 2011 draft will look to continue developing in 2013 and stake his claim for more senior games.